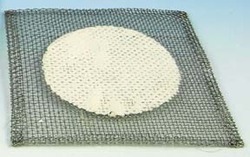 We are able to manufacture wire gauze, with the vast support of our team. We are a leading exporter of wire gauze. 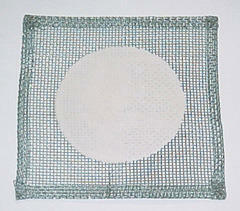 Square shaped, made from GI wire, close mesh with folded edges. Extra strong quality. Supplied in pack of 10. - Material: Made from G.I. wire with asbestos centre. Extra stout quality, square. With the valuable assistance of skilled team of specialists, we are manufacturing, trading, exporting and supplying an extensive assortment of Wire Gauze. We are one of the best manufacturer of wire gauze. Our company is able to to manufacturing and supplying wire gauze. Wire gauze can be used to support a container (such as a beaker or flask) during heating.